The business, Caring for Care, aims to improve the overall care being offered within the sector through delivering correct, quality and current training. 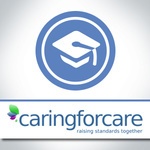 Able to teach all training...Read moreThe business, Caring for Care, aims to improve the overall care being offered within the sector through delivering correct, quality and current training. Able to teach all training courses required within the health and social care sector and well as being a fully accredited first aid trainer. Excellent feedback from course delegates.